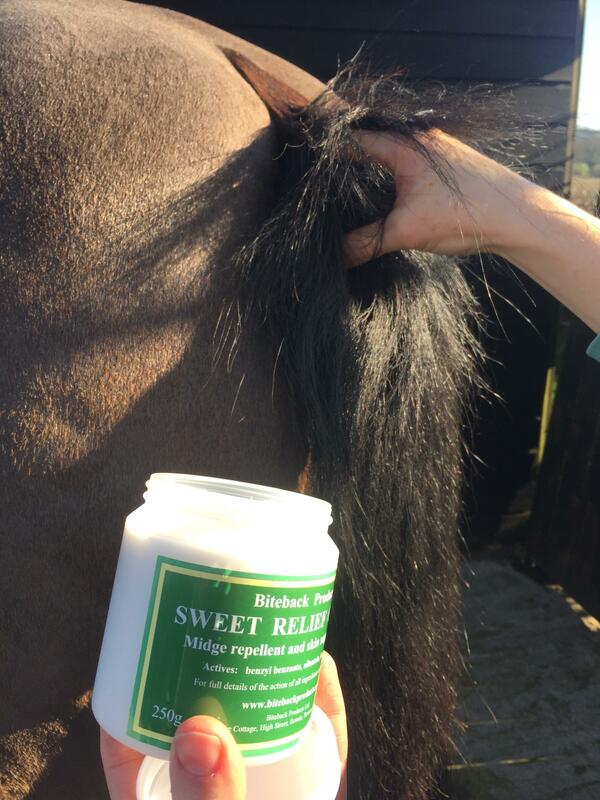 Biteback Sweet Relief Cream is a highly effective plant-based cream for guarding against itching and rubbing in horses. Prevents the culicoides midge from biting and supports calm, healthy, itch-free skin. Ingredients include: benzyl benzoate to soothe and moisturise; glycerol and liquid paraffin to soften skin; iodine as a trusted antiseptic and natural oils for added repellence.